It is the inside that counts. The Van Kempen family cannot and will not think differently. 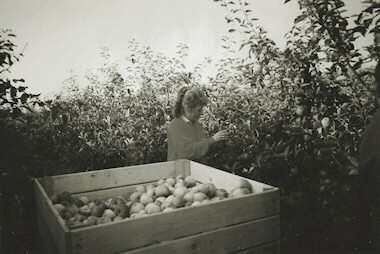 This was the case when they brought their first apple juice to the market in 1993, and this has not changed to this day. They are all fruit growers with a vast love for Mother Nature and the Dutch soil.. 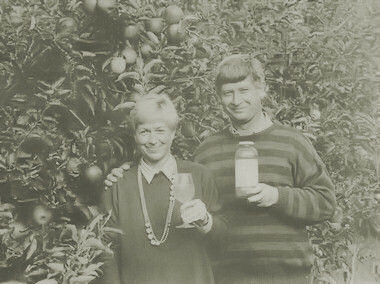 The first apple juice from the fruit growing Van Kempen family was made as a necessity and coincidence. It is 1993. Jan and Lenie are once again surprised by the flavor of the supermarket and catering industry's apple juice. It bears no resemblance whatsoever to the apple juice they sometimes press themselves. When the price of apples drastically falls, they make an attempt to bring their own apple juice to the market. And successfully! Their juice business grows and Jan and Lenie choose to also purchase fruit from other areas to meet the demand. On the one hand they do this with a pang of regret, as their love for fruit from their own soil is great. On the other hand they see the opportunity to produce different types of juice and to expand their range of products. More than twenty years after the start of their company, the product range of Van Kempen consists of eight different juices, in three different bottle sizes. The core values of the old days still stand: nature, fresh, healthy and environment. Or, as we say now: genuine, pure, healthy and sustainable. Genuine juice from start to finish! Would you like to get to know the Van Kempen family and their juices? It is the inside that counts! We make juices that we are truly proud of with that slogan in mind. We make conscious choices to make the juice we are proud of. Do you feel that a premium fruit juice and our philosophy match your business? Then the family would heartily like to meet you! We would like the juice to do the talking for us. We are convinced that tasting is believing. Would you like to get to know the Van Kempen family and their juices? Email us: info@vankempenfruitsappen.nl or call us on +31 187 68 92 64..